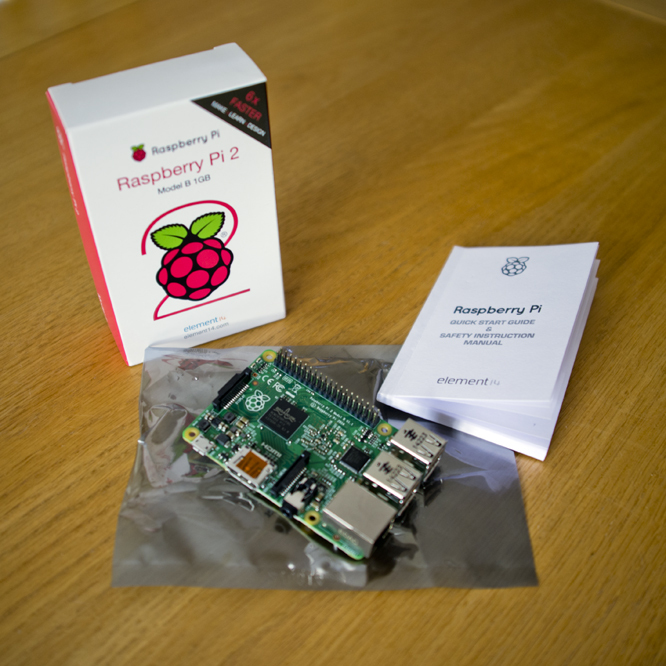 Well it’s arrived (My new Raspberry Pi b 2), after placing an order only four days ago. I have only had time to take a quick look and to, firstly check if my old Linux installation will boot with no changes, sadly this did not work ! 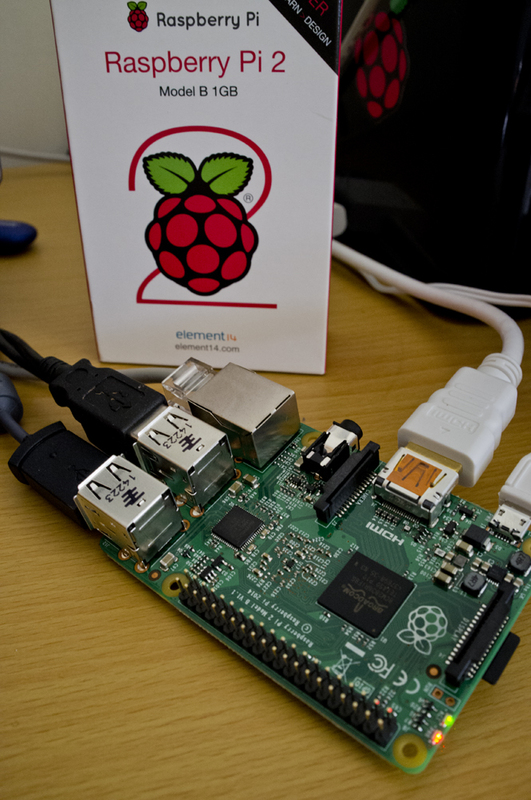 – but this is no huge show stopper as I still intend to use this install with my old PI B+ anyway. I have installed Raspbian Linux again from the Noobs download located on the Raspberry Pi web site and this worked first time with a clean and fast install. During installation you may want to setup the GUI to start automatically from boot and the system can be set to run 100mhz faster than standard 900Mhz (@ 1000Mhz) for each of the 4 CPU cores, this is a managed and safe overclocking as the OS works with the CPU to vary its speed as needed (from 600Mhz to 1000Mhz). Taking a quick look at how the Pi b 2 is performing, its much-much faster in operation than the last Pi version and the extra 512mb of Ram adds to a much improved performance. Using the browser I did some Google searches along with going to the Raspberry pi web site and there is none of the delays that the older Pi B + had. That’s great news !!! I will take my time building this installation to match the install I had configured on the Pi B+ , I need to install networking services (FTP, SHH, etc…) and the GCC development applications (GCC, AS, GFORTH, etc… ) along with all the OS extras that I use such as HEX-EDIT. I made some good paper notes on all these services and their installing methods and their configuration, so I think this is about four hours work when I have time. At some point I will get a designed case from ebay. This entry was posted in Operating system installation, Raspberry pi, Single board computers and tagged Computer configuration, Linux installation, New kit, Noobs, Operating system installation, Pi, Raspberry pi, Raspberry Pi 2 B, Raspbian Linux. Bookmark the permalink.